Max Temperature: 5 to 10 degree cel. We are one of the experienced specialists in the making Custom Thin Film Evaporator. Contact us to get the best Custom Thin Film Evaporator. Rising film evaporator operate on a "thermo-siphon"
Our Wiped Film Evaporator are used to flash distill heat sensitive materials having various components under controlled temperature at atmospheric pressure or under vacuum whilst maintaining short residence time so as to prevent localized heating and thermal decomposition of the material. 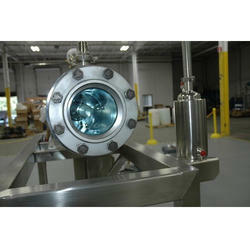 We have gained goodwill in the market is due to our offered Thin Film Evaporators. We manufacture these machines using superior raw material procured from our most trusted and certified vendors at our highly developed infrastructure units. Owing to the efforts of our skilled professionals, we have been constantly engaged in offering a qualitative assortment of Agitated Thin Film Evaporator. 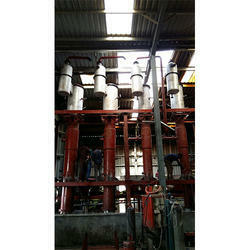 For Evaporator concentrate water, Vertical Thin Film Dryer are used to separate salts by evaporation. Concentrate is sent to dryer and evaporated completely. Un evaporated solids such as salts and impurities are collected at bottom. This system reduces need for solar pond. Our dryer is unique in design and operate continuously.